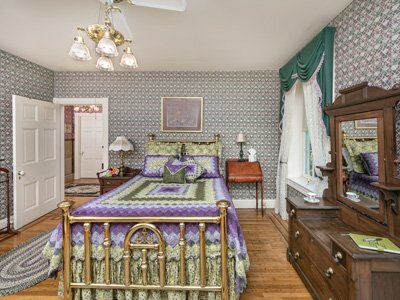 Our comfortable guest rooms will put you feeling right at home. 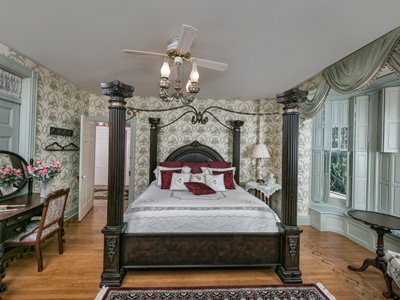 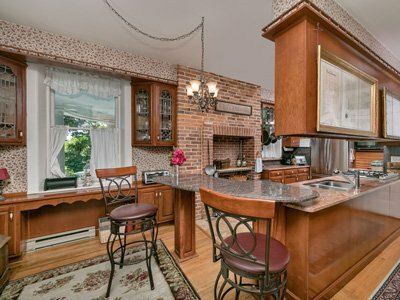 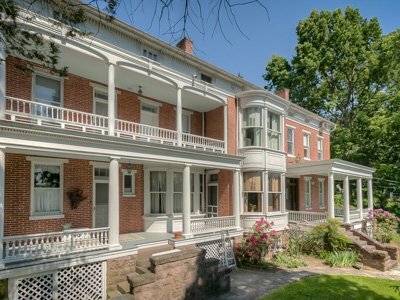 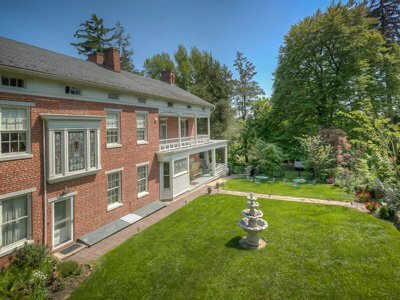 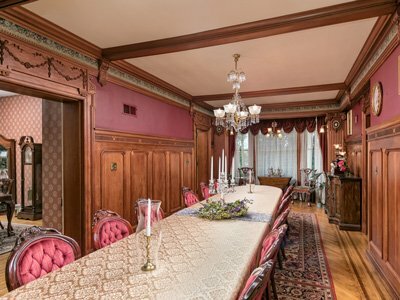 Located in the quaint village of Emigsville in South Central Pennsylvania, this skillfully restored 19th-century mansion provides the perfect setting for gracious hospitality. 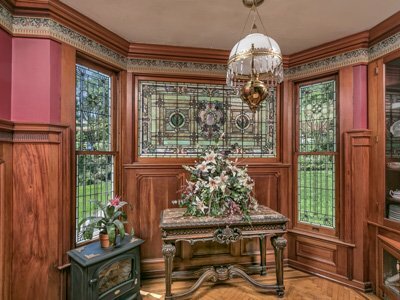 The home is resplendent with exquisite leaded and stained glass windows, intricate molding, original parquet floors and elegant marble and tile work. 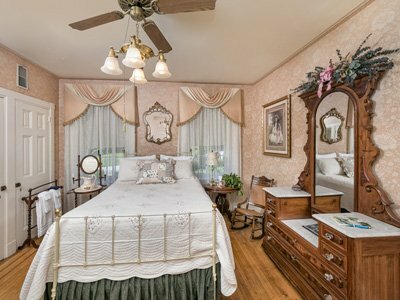 Built in 1850, The Emig Mansion is decorated with antiques and furnishings authentic to the period. 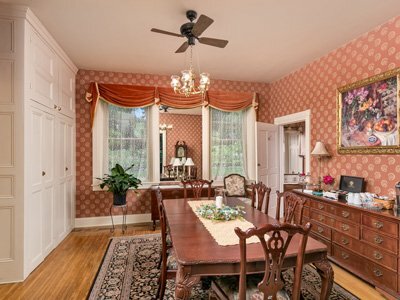 It is the ideal location for weddings, receptions, private parties, gatherings, family reunions, seminars, and meetings. 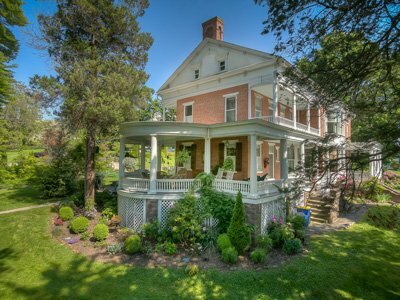 Visitors to the Emig Mansion will first come upon the old-fashioned grace of a wrap-around front porch, complete with vintage furniture. 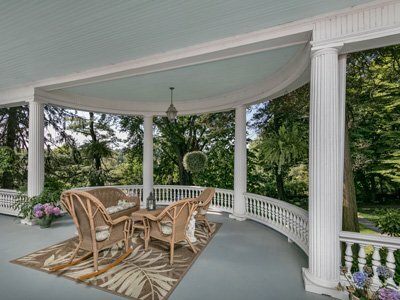 The Victorian elegance of the porch overlooks a picturesque vintage pond and is accentuated by more than an acre of beautifully wooded grounds. 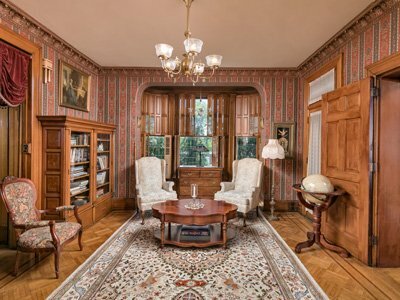 Located directly off the dining room is the elegant wood-paneled library with its marble fireplace and original antique molding. 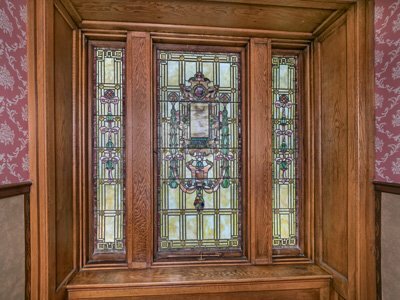 The library is the perfect area for socializing with friends and family and break-out rooms for seminars and business meetings. 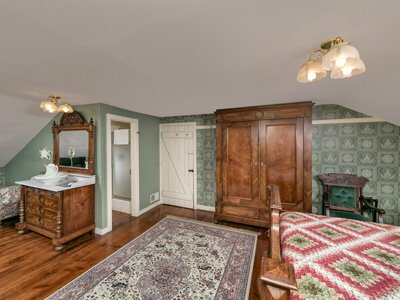 The original pocket doors off the foyer reveal unique his and hers parlors reminiscent of yesteryear in their Victorian elegance and detail. 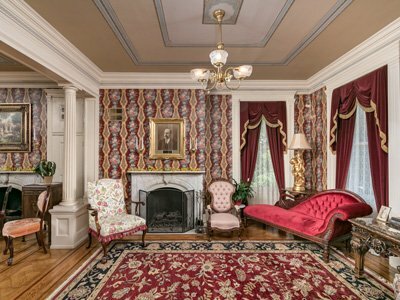 These two connected rooms are nearly mirrored images of one another, complete with two matching fireplaces and a player piano that the guests are encouraged to enjoy.